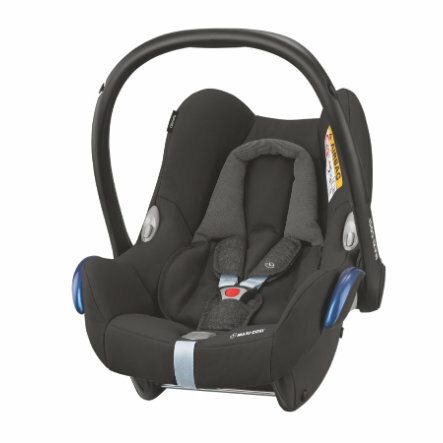 Babies like to fall asleep in the car seat while driving - let them continue to dream sweetly! With the MAXI-COSI CabrioFix Baby Car Seat, which can be combined with almost any pushchair as a practical travel system, you only have to take the infant carrier out of the car and click on the pushchair - so the baby can continue sleeping undisturbed. But that' s not all for flexibility: You can use the CabrioFix in combination with the Isofix Basic FamilyFix or an EasyBase 2, but you can also simply fasten it with the car's standard three-point belt. In the CabrioFix your offspring travels comfortably and particularly safely at all times. PDF Which car seat fits on which base? The bases are NOT included!